Upendra Kushwaha has been shifted as Minister of State in the Ministry of Rural Development, Panchayati Raj, Drinking Water and Sanitation to Human Resource Development during the recent reshuffle of the Narendra Modi cabinet. Upendra Kushwaha was one of the closest associates of former Bihar Chief Minister and senior Janata Dal (United) leader Nitish Kumar. In fact, it is believed that Nitish Kumar himself elevated Kushwaha to Bihar Assembly’s Leader of Opposition position in the year 2004. This raised eyebrows of many as it was his first stint in the Legislative Assembly as MLA. However, his relation soured with Nitish later and ultimately on March 3, 2013 he floated his own political outfit Rashtriya Lok Samata Party (RLSP). Political analysts believe it was due to the inclusion of Upendra Kushwaha and his political party RLSP in the BJP-led National Democratic Alliance that the latter has been successful in making inroads in the large vote bank belonging to backward castes in Bihar. Last October, Kushwaha along with LJP’s Ramvilas Paswan spearheaded the Run for Unity initiative (brainchild of Indian Prime Minister Narendra Modi) in Bihar to pay respect to Sardar Vallabh Bhai Patel. 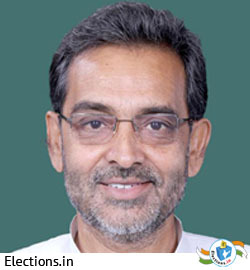 Upendra Kushwaha was born on February 6, 1960 in Bihar’s Jawaz Village, located in the Vaishali district. Born to Late Muneshwar Singh and Muneshwari Devi respectively, he was brought up in a middle class family. Upendra Kushwaha did his graduation from Patna Science College and went on to complete his post-graduation in Political Science from Bihar’s B.R. Ambedkar Bihar University, located in Muzaffarpur. On February 26, 1982, Upendra got married to Snehlata and the couple is blessed with a son and a daughter. He started his professional career in the year 1985 as a lecturer of Political Science at Samta College’s Department of Political Science, located at Jandaha in the Vaishali district. This college is now renamed as Muneshwar Singh Muneshwari Samta College. Available data shows that his total assets amount to more than Rs. 2 crore. Upendra Kushwaha is not only a social activist turned politician but also a teacher, an educationist, and an agriculturist. Upendra got involved in politics in 1985. From 1985 to 1988, he was Yuva Lok Dal’s General Secretary and its National General Secretary from 1988 to 1993. He assumed more importance in the state politics when he went on to become General Secretary of Samata Party in 1994. Upendra remained in that position till 2002. It was in 2000 when Upendra got elected to the Bihar Assembly. He became Samata Party’s Deputy Leader at the assembly and remained in that post till 2004. However, he became the Leader of Opposition in Bihar Assembly in March 2004 and successfully managed his responsibilities till February 2005. However, he started facing problems within JD (U), especially with Nitish Kumar. This is when he first severed his relationship with the party and joined Nationalist Congress Party (NCP). He went on to become NCP’s Bihar Chief but his stint was not unsuccessful. He later joined JD (U) again and reconciled with Nitish. This is when Upendra Kushwaha’s political career got an upward push. He became a Rajya Sabha Member in July 2010. During this time he also became member of Committee of Agriculture in August 2010. However, his renewed ties with Janata Dal-United didn’t last long and he again quit the party. In fact, he also didn’t hold on to the coveted RS seat for long. Ultimately on March 3, 2013, Upendra Kushwaha took his biggest political gamble and floated his own political party - Rashtriya Lok Samata Party. He consolidated his works among the most backward castes of the state as well as minorities. Kushwaha’s main plank of campaign was against Nitish Kumar, on one hand, and RJD’s Lalu Prasad Yadav, on the other. This fierce campaign paid off for RLSP during the last Lok Sabha election of 2014. 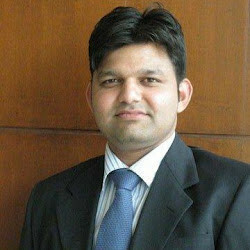 Kushwaha won from Bihar’s Karakat constituency and his party won two more seats – Sitamarhi as well as Jehanabad. Fierce anti-Nitish tirade won Kushwaha brownie points and he was inducted in the Narendra Modi government as a Minister of State for Rural Development, Panchayati Raj, Drinking Water and Sanitation ministry in May 2014. In November 2014, after cabinet reshuffle, he has been appointed as MoS of Human Resource Development.